What began 11 years ago as camaraderie between local restaurants and a desire to draw tourists during the off season has turned into one of the premiere fall events on the Gulf coast. The Hangout Oyster Cook-off draws oyster lovers from across the country to Gulf Shores, Alabama, on the first weekend in November, and between the chef demos and the Oyster Cook-off competition, there will be over 100 preparations of oysters available for tasting over the course of the event. And those who are not oyster lovers, have no fear—there are plenty of oyster-free offerings as well. Forty restaurant teams from across the country will compete, and no holds barred recipes means attendees will enjoy tasting everything from the classic to the crazy—past events have even produced oyster ice cream and oyster beignets! Teams include 2017 winner of the Rockefeller category, Chef Jon Schwenk of Atlanta’s Hugo's Oyster Bar; Chef Bryan Cates of Mobile’s Kitchen on George; and 2017 winner of the Chef’s Choice category, Chef Jeremy Downey of Birmingham’s Bistro V.
Saturday’s festivities also include cooking demos from Food Network Star contestants Martie Duncan, Cory Bahr, Justin Warner, and Linkie Marais; Jim Smith and Wesley True of Bravo’s Top Chef; Carl Ruiz and “Panini” Pete Blohme of Guy’s Grocery Games; and five-time Memphis in May winner Chris Lilly. In addition to prepared oysters, the Hangout Oyster Cook-off also boasts the North American Oyster Bar where visitors can sample oysters on the half shell from the Pacific Northwest, New England, the Maritimes, British Columbia, the Mid-Atlantic, Baja Peninsula, and the Gulf of Mexico. Enjoy a variety of oysters and learn why oysters from these areas each have a different flavor. (For more on this, check out Shucking For Schools) This is also where scores are posted from Friday night’s double-blind tasting by James Beard Award-winning chefs. 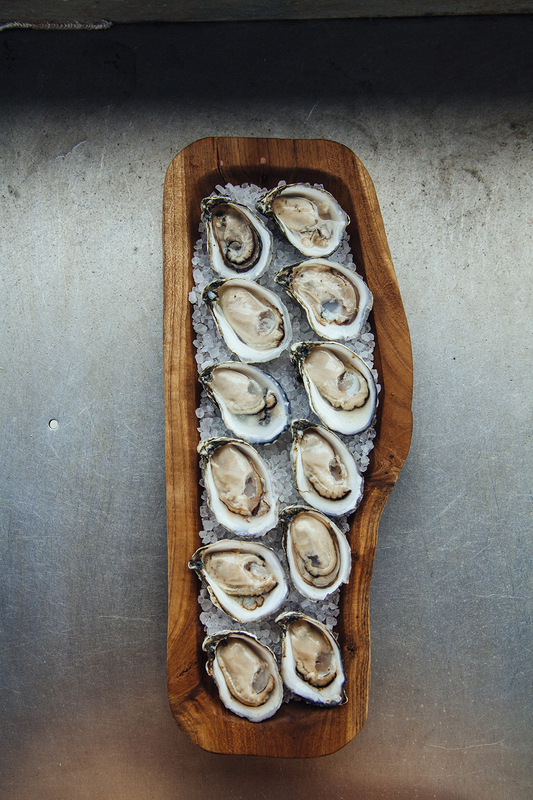 Find out how your favorite oyster stacks up! The Hangout Oyster Cook-off has grown in size over the past decade, and coupled with Friday evening’s Craft Beer Festival and Brew B’Que, live music all weekend, and tailgating in the sports viewing lounges, there is definitely something for everyone. Visit hangoutcookoff.com for more information and to get your tickets.